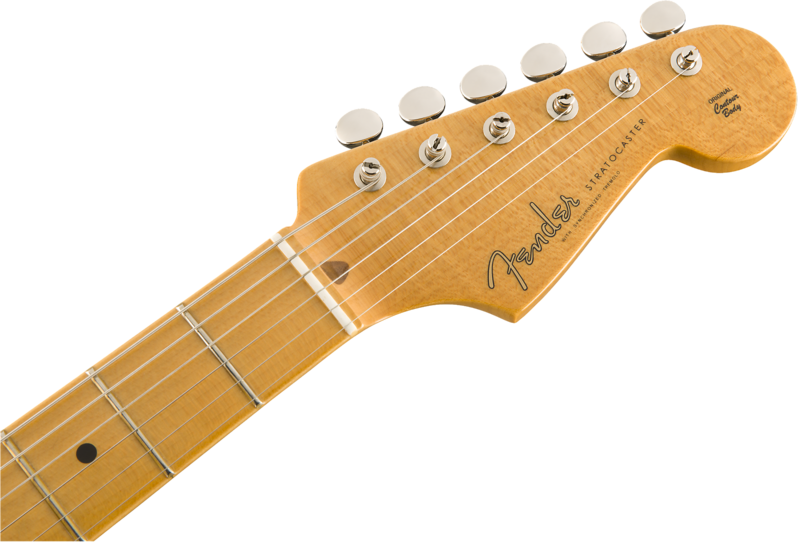 Fender 0113602741 ERIC JOHNSON SIGNATURE STRATOCASTER® THINLINE - Ships FREE Lower 48 States! We finished the custom-chambered body with nitrocellulose lacquer, allowing the wood to “breathe” with character. 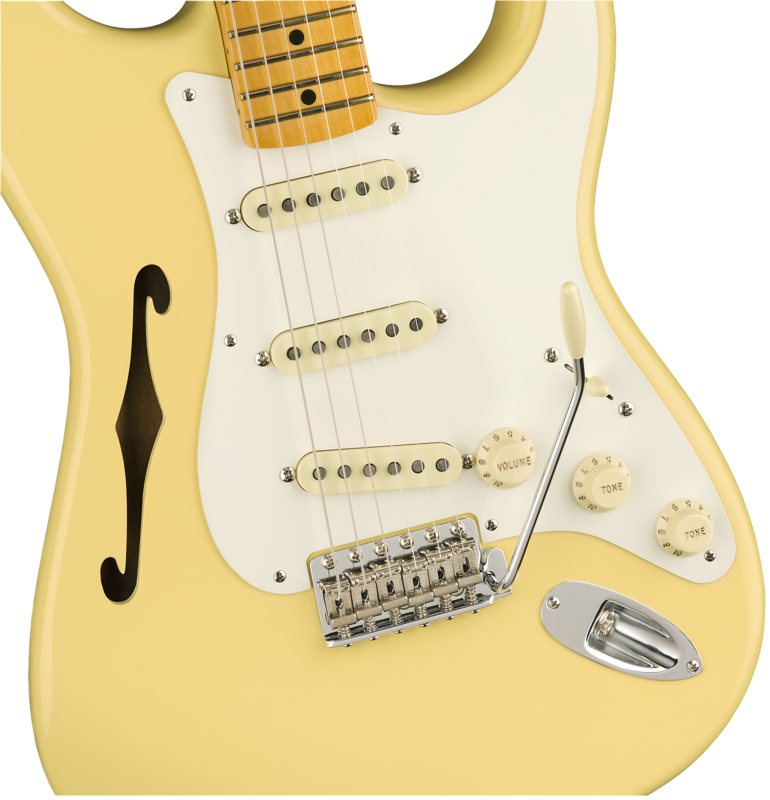 The three single-coil Stratocaster pickups were specially voiced to meet Johnson’s specifications, and are mounted to the semi-hollow, two-piece alder body with countersunk screws for even more vibration transfer. 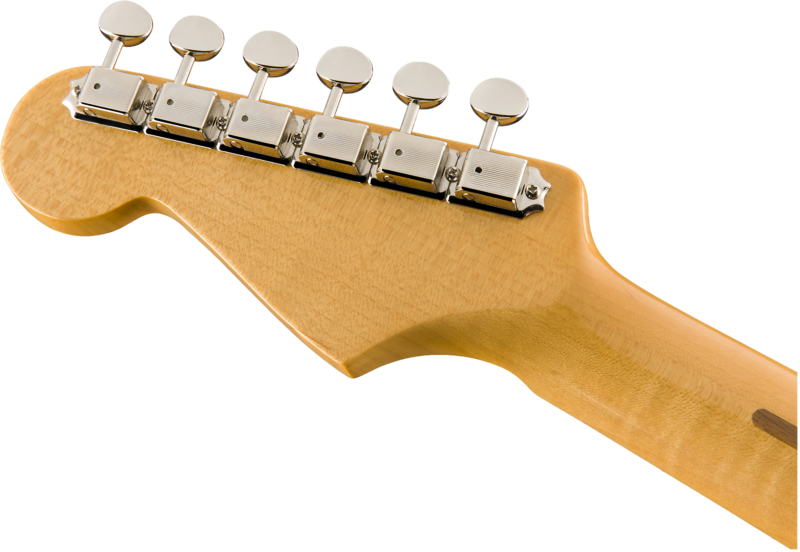 The comfortable “’57 Soft V”-shaped quartersawn maple neck bears a 12”-radius maple fingerboard and 21 medium-jumbo frets for enhanced playability. Other custom features include a vintage-style tremolo with silver-painted block, ’57-style string recesses, thin headstock with vintage-style staggered tuning machines, ’57-style parchment pickguard and “ashtray” bridge cover. 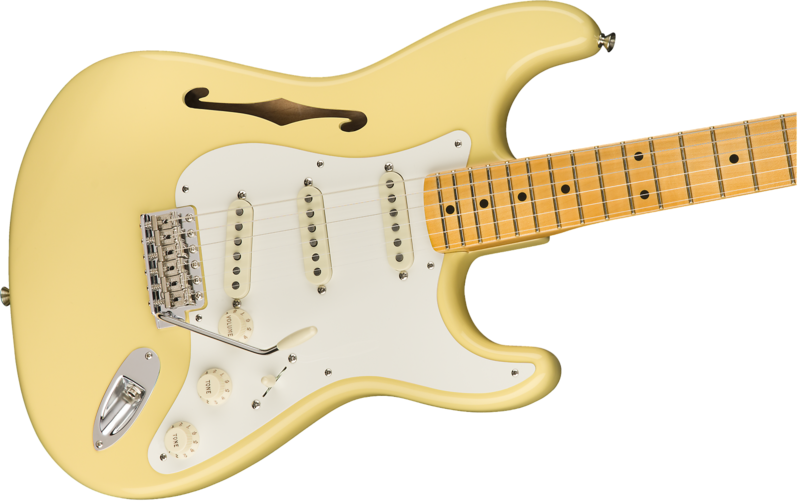 An R&D tour de force, the Eric Johnson Stratocaster Thinline is the first semi-hollow Strat that combines custom chambers with traditional Stratocaster arm and body contours. Based on purchase price of $1,999.99 at 0% APR for 18 months. Excludes tax and shipping fees, to be calculated at checkout. Rates range from 0-30% APR. Choose from 6, 12, or 18 monthly payments. Select Affirm at checkout to get started.